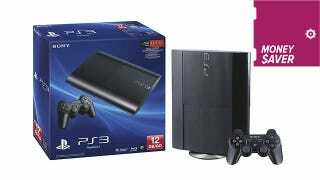 Moneysaver: Is A $200 12GB Playstation 3 A Good Deal? One of the many topics covered in Sony's Gamescom press conference was the introduction of the 12GB Playstation 3 into the North American and European retail markets. The SKU's existence certainly isn't news, in fact it was available for purchase at Best Buy several days before the announcement. The real question is should you, or anyone buy one? Bridge the gap on the cheap. In the time since 2006 the PS3 has shed many an arguably ancillary feature while also dropping in price by 66%, but reducing the console's internal storage to basically negligible is for me the most significant change so far. Microsoft has also been down this road, selling a 4GB version of their Xbox 360, but the method to that madness is obvious: trojan horse more Kinect sensors into your living room. The greatest value to be found on the PS3 is Playstation Plus, and 12GB minus whatever the operating system takes up is not going to cut it when you're getting ~64 digital games per year. Yes, you can absolutely buy a cheap laptop hard drive and stick it in your PS3, but that's still more money, and effort. 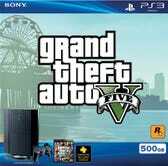 GTAV or the year of Plus are easily the two most valuable items to have bundled in, and when you factor in their cost, you'll be paying $210 for a 500GB PS3, or $180 for a 250GB PS3 (when on sale) respectively. Both amazing deals, and plenty of storage for all those Playstation Plus games.